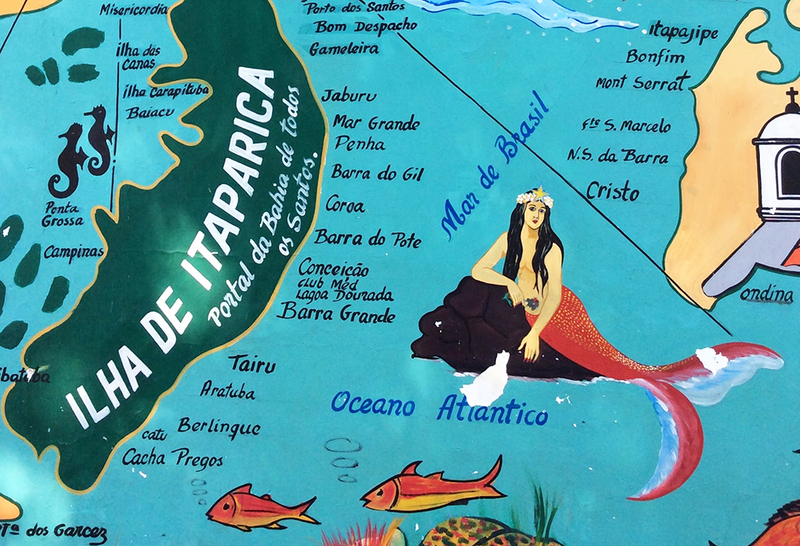 The first week of a Sacatar residency provides an overview of the cultural richness of Bahia, including optional tours of the island, the town of Itaparica, and the city of Salvador. A public presentation of the artists, given early in each residency session, provides each artist the opportunity to connect with the local cultural and creative communities of Bahia. In the second week, the Brazilian staff of the Instituto works with each artist individually to help the artist engage, as desired, with the local culture in ways appropriate for that artist. Towards the end of each residency period, artists often present work they have completed during their residency, actively engaging local collaborators and audiences. PLEASE NOTE: In 2019, Sacatar will NOT reimburse travel expenses. Artists will be responsible for securing their own airfare or transportation to Salvador, Bahia, Brazil (airport code: SSA) for the dates of the residency. Artists are also responsible for securing the necessary travel and tourist visas. A tourist visa covers all activities of the Instituto Sacatar. A Sacatar residency takes highly qualified professionals out of their comfort zone, placing them in an economically challenged, technically limited, under-served community deeply rooted in ancestral practices brought from Africa. The artists share this experience with other international artists of different ages, diverse ethnicities and various disciplines. The local community approaches art fearlessly and willingly, without preconceptions. The people of Bahia disarm artists through warmth and a willingness to share what little they have. These experiences inspire artists to produce simpler, more directly communicative art. The challenge of a cross-cultural experience results in new standards of excellence. Sacatar artists report returning to their ‘normal’ lives deeply transformed. They return home with a renewed sense of wonder in what they do, which has powerful unforeseeable consequences for the work that will in turn inspire their home communities. We schedule three to four residency sessions each year, with each session typically lasting eight weeks. The residencies have specific starting and ending dates. From experience, we know that a period of eight weeks works out just about right. After a week of orientation, Fellows have six weeks of productivity and a final week to wrap things up. The pace of Bahia is not the pace of New York City, Berlin or Tokyo. To produce work in Bahia, you will naturally enter a realm of time dictated by the tides and the moon. On occasion, the Instituto Sacatar hosts Special Projects, which may be of shorter or longer duration. These are group projects with a specific focus and purpose, originated by the Sacatar Foundation or proposed by partner organizations. 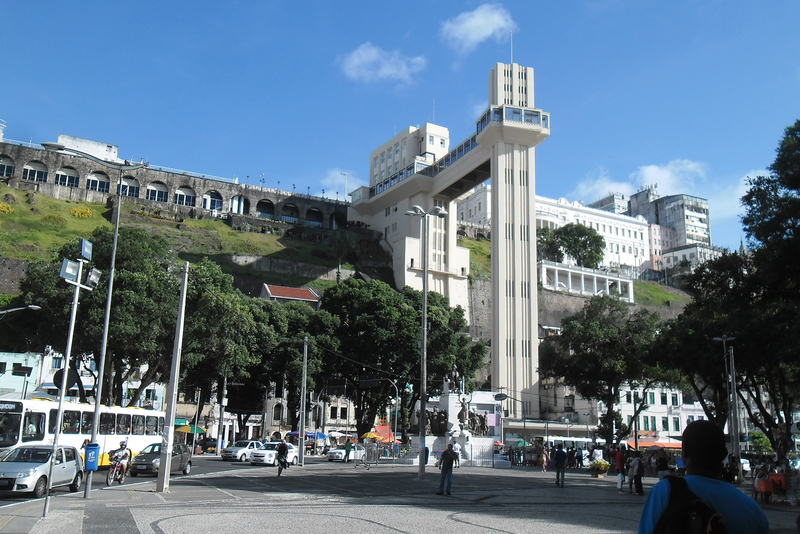 SALVADOR DA BAHIA – Founded over four hundred and fifty years ago, Salvador was the first capital of Brazil. Initially built upon the northern escarpments of the Bay of All Saints, Salvador today encompasses the largest concentration of Portuguese Renaissance and Baroque architecture in Latin America, a heritage of its colonial economy based on sugar and slavery. The city has sprawled well beyond its original fortified enclosure to house its current population of nearly three million. The middle and upper classes inhabit bristling apartment highrises in a string of neighborhoods along the city’s long beachfront, but the less-advantaged citizens live in self-built unplastered brick houses that pile up against the many hills that form the topography of the city. All of Salvador’s citizens share, however, a rich culture, the product of the fusion of native, European and African traditions, with a unique local cuisine and a diverse musical heritage that continues to evolve to international acclaim. An African-Brazilian religion, candomblé, permeates daily life for practitioners and nonbelievers alike. Miles of beautiful beaches contribute to making Salvador the number one tourist destination for Brazilian travelers. THE ISLAND OF ITAPARICA – The Island of Itaparica forms a crescent, thirty-six kilometers long, in the Bay of All Saints. Until the introduction of the auto ferry in about 1974, isolated fishing villages lined the white beaches, planted with thousands of coconut palms. Now vacation homes occupy the stretches of beach between the fishing villages. The interior of the narrow island continues to be primarily uninhabited, as does the side of the island where the beach gives way to mangrove forests. The island population, comprising 50,000 permanent residents, is extremely cyclical, with the population burgeoning during the Brazilian summer months, December through February. 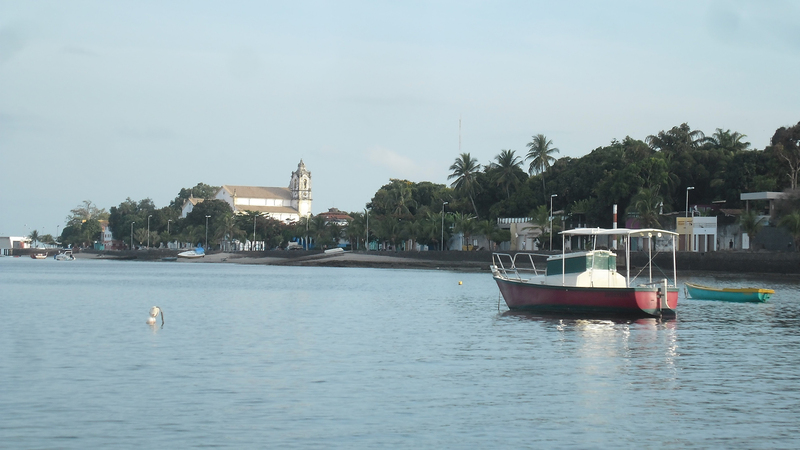 To get between the island and the city of Salvador, there are hourly auto ferries as well as passenger boats that depart every thirty minutes. There is no bridge that links the island to the Salvador. THE TOWN OF ITAPARICA – The historic town of Itaparica, located on the northern tip of the island, dates to the 16th century. Its historic core features churches and significant residences from the 17th through the 20th centuries. For many years Itaparica was the summer resort of choice for the bourgeoisie of Salvador. 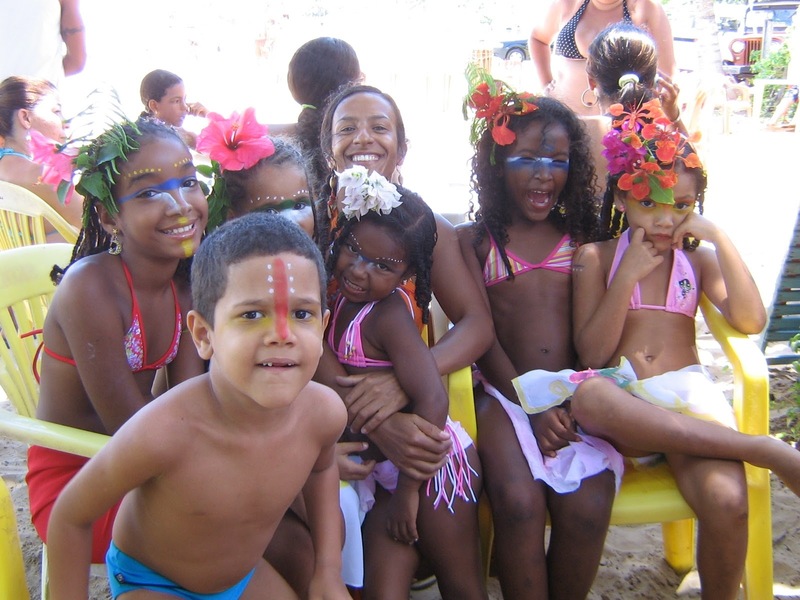 Many of the most well known families of Salvador still have homes there; but since new roads now connect Salvador to previously inaccessible beaches north of town, the wealthy now seek their entertainment elsewhere. Itaparica, for all its charms, is currently semi-forgotten. 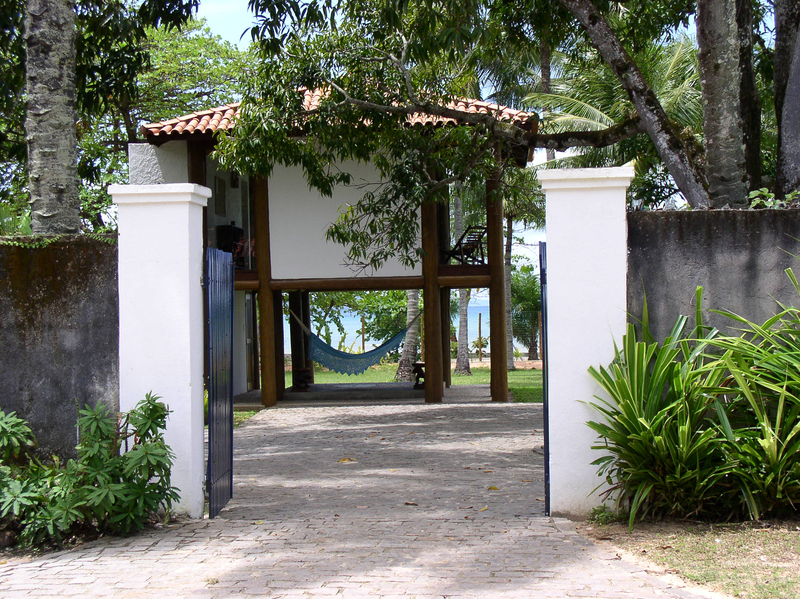 THE INSTITUTO SACATAR – A ten to fifteen minute walk from downtown Itaparica leads to the Instituto Sacatar. Located in the center of the 2 ½ acre property is a large house with a central courtyard, surrounded by a library, several commodious living rooms, a substantial kitchen and five bedroom suites. Generous verandas wrap around the house. The site is quite pastoral; monkeys still live in the surrounding trees. A narrow strip of restinga, a native salt water scrub forest, screens the property from 175 meters of secluded white sand beach.